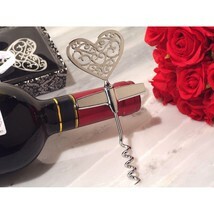 A classic ornate heart design wine opener. These stylish silver chrome heart wine openers are sure to appreciated by your guests. 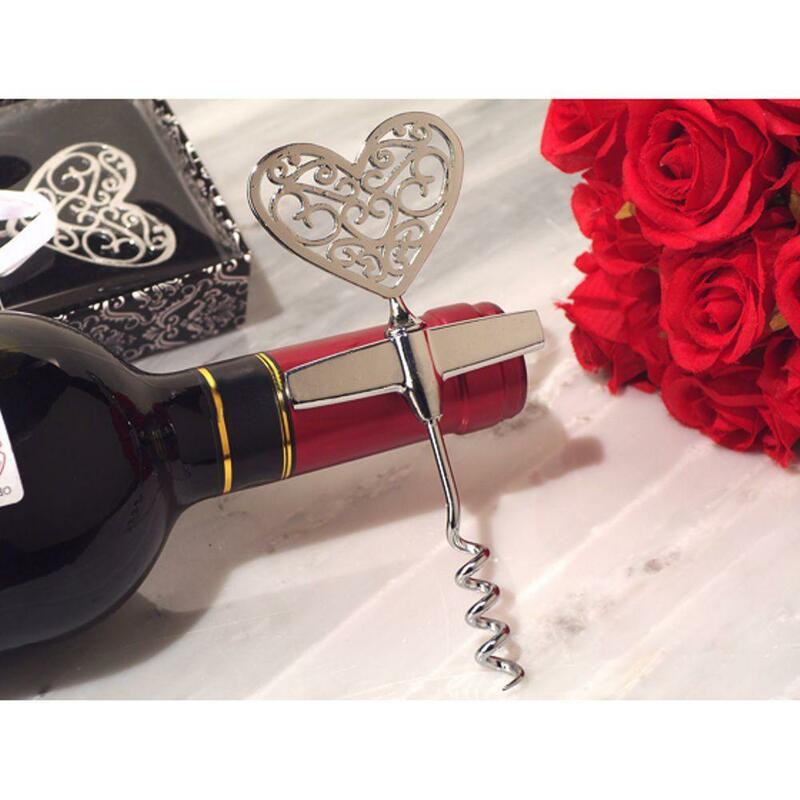 Each favor has an ornate silver metal heart design topper attached to a metal corkscrew base and measures 5in. long. Every time your guests sit down to enjoy their favorite vintage they will be reminded of your generous gift. Best of all they are ready for gift giving, they come packaged in an elegant damask print gift box wrapped with a white satin ribbon and thank you tag. Sold in a pack of 48 wine openers.